A spraying cat: possible warning that another cat is sick. Recently we heard from a long time customer who told us that one of her cats will spray urine when another furry family member is sick. 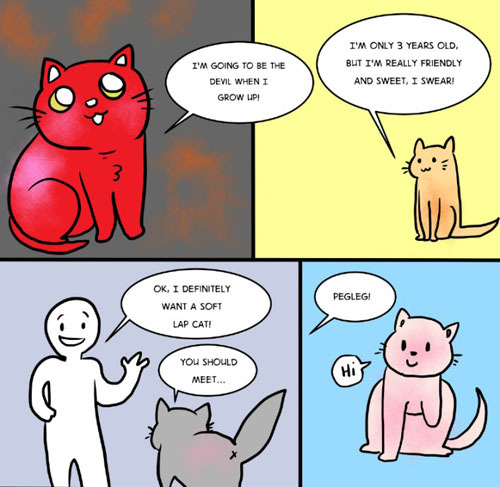 Changes in cat behavior around others’ illness have been reported in the press. This link is to an article that talks about how cats can behave when another is sick or dying, and how they sometimes behave quite differently when another cat has cancer. Scientific studies have shown that dogs can detect cancer in people at very early stages using their sense of smell. They can also predict seizures and sense low blood pressure, vitally important for their diabetic human companions. Here’s a link to more information. It can be quite interesting when a cat sprays or pees out of the box – sometimes it’s our first warning that another animal in the house is sick or is getting sick. 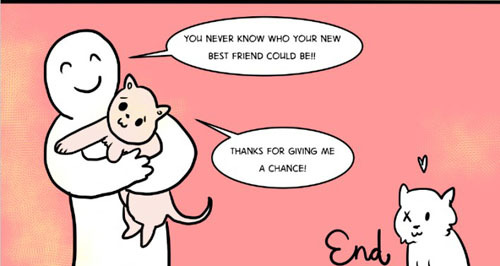 It can also happen when an animal comes home from the vet, or crosses the bridge. They can sense it or smell it, and they’ll worry “I might be next!” so they’ll spray or pee out of fear or nerves. 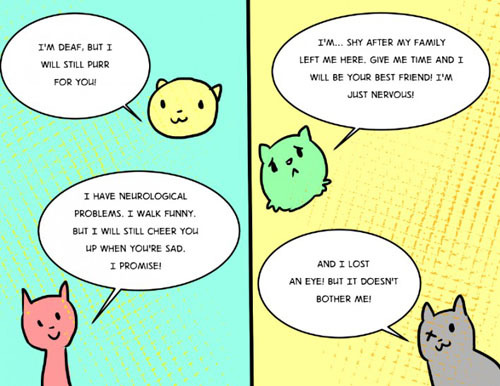 These cats are particularly sensitive, almost like those cancer smelling dogs we read about! 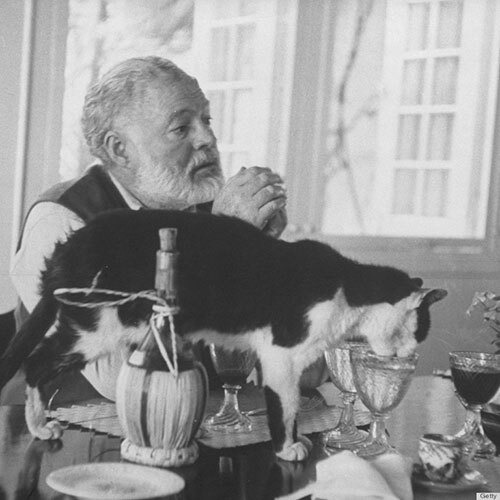 Convivial House Cat Spray and Feliway can really help steady the nerves of such a sensitive cat! 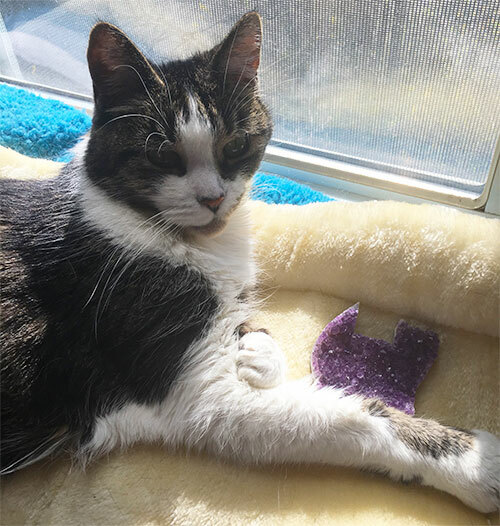 We love it when customers send photos of their cats playing with our toys. 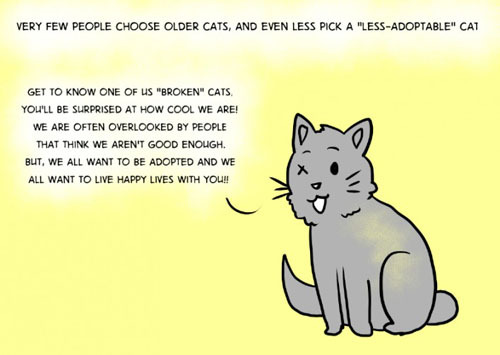 And we love hearing about cats who have special needs or situations. 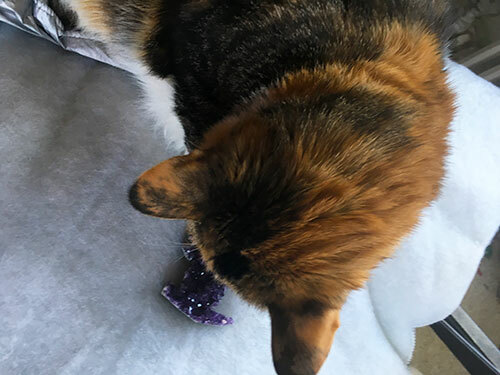 In April we got this photo from Shawn of her cat Gomez playing with a Cat Faeries As-purr-agus Catnip Toy. Isn’t he cute? Aloha! Thank you for your message about the bunnies! 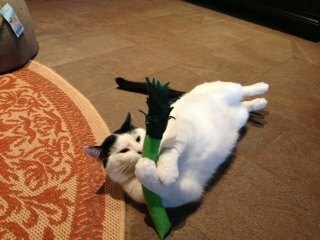 Yes, Pinocchio (no eyes), and his “seeing eye” brother, Jiminy, have lots of fun with the toys (as do my 7 other kitties)! Enjoy this short of video of Pinocchio and Jiminy’s story. They are both two now, and I have been blessed with them since they were kittens. He is adorable! He definitely has a very heightened sense of smell, which leads him to completely sniff us all over each time we come home. His hearing is absolutely amazing. He hears moths when we can’t even see them. He knows each of the other kitties’ smells and sounds, and he can tell who my husband and I are by our footsteps. Pinocchio delights us and impresses us every day with his ability to navigate around things, up cat trees; he runs up our flight of stairs at full speed, sometimes forgetting to stop, so he climbs a few extras in the air! He is very vocal, which is his way for feedback, whether it is to call for his little brother or to find out where mommy is. He is fearless. Most amazing is how he knows how to jump on our bed and off again-truly jumping blindly. He has figured out the distance of everything. He goes into our courtyard and knows his way around. His whiskers help him to not bang into things (except on occasion :)). He also found the kitty door on his own with NO encouragement and figured out how to go in and out by himself. People may wonder about the litter box. He has NEVER had an accident. I showed him where the kitty box was ONCE and he hasn’t missed it ever. He “covers” but sometimes doesn’t cover all the way! He tries really hard though! He was shown where the food and water was, and knows right where to go. I even have an extra bowl of water on my night stand for one of my kitties, and he knows how to get to that one. I never showed him. He can hear the wings of a bird and know exactly where they are. He hasn’t caught a bird but he has caught moths, geckos, and katydids. He will listen intently to a moth and know exactly where it is even though we don’t know it is there. If he smells a gecko, he will be drawn to that area for hours. 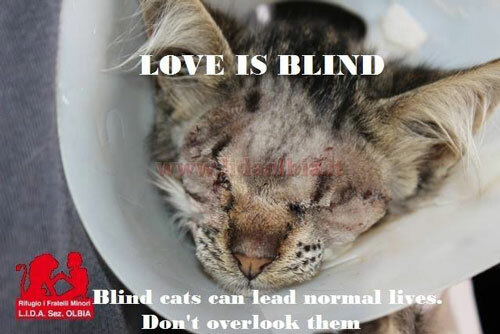 So friends, don’t let a disability stop you from loving a blind cat, a cat with 3 legs, or a cat who’s an elder. 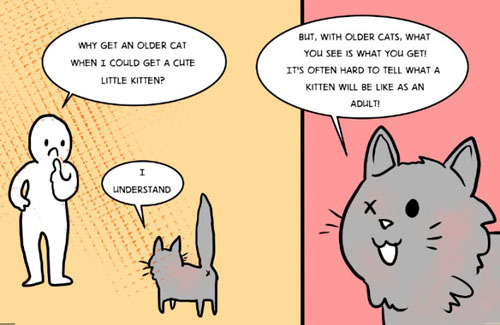 Cats are miracles that purr and meow! Feeling the love today, thank you Shawn! 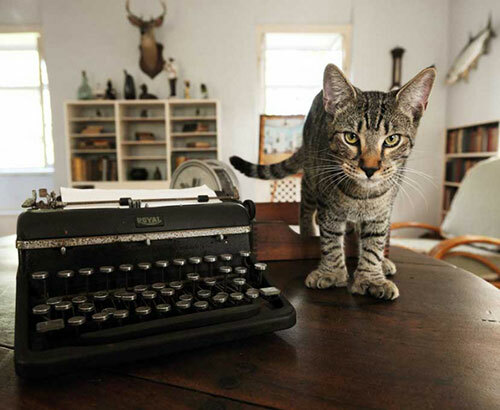 Do you have a special or unusual cat that you want to tell us about for our newsletter? A video would be fun, but it’s certainly not necessary. Send a message to catfaeries@catfaeries.com and put My Special Cat in the subject line. 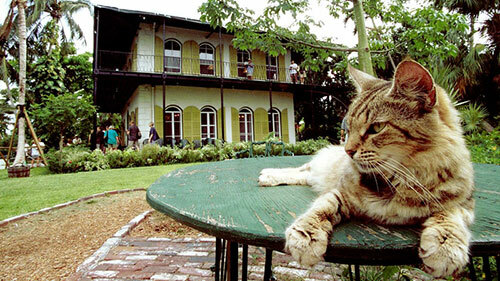 Can your cat predict an earthquake? As many of you know we are work and live in San Francisco. 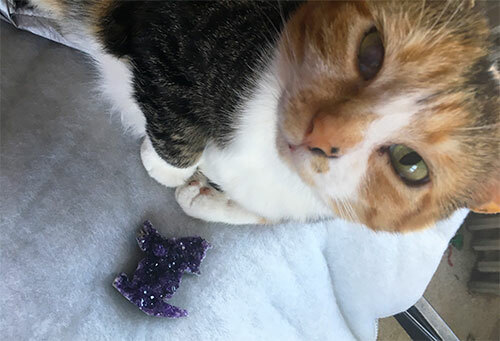 As a native your cat faerie has been through countless earthquakes, most minor, but some quite major like the 1989 Loma Prieta quake which happened during a World’s Series game played at SF’s Candlestick Park. Saturday night at 3:20 am there was a 6.0 (some reports say 6.1 but who’s counting!) earthquake centered in Napa which is one of the vital valleys of our wine country. Some 60 miles or an hour away by car it woke us up and we felt every dramatic wave and shake. Fortunately for us not even one can of cat food toppled over! Do animals know before that an earthquake is coming? After the devastating earthquake in Kobe, Japan a Japanese university began to study animals and earthquakes. Can they predict them? How far in advance do they feel that something is coming? Your cat faerie was part of that study and answered the many pages long questionnaire. 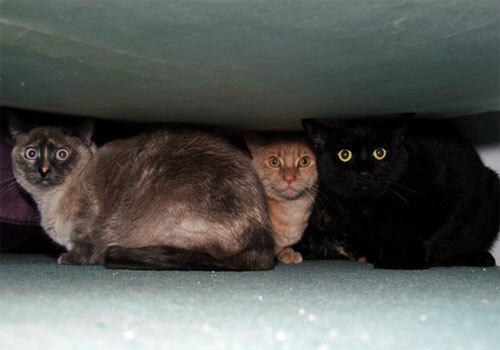 For us personally before this most recent quake, the cats were fine, no out of the ordinary behavior. But we suspect that cats being cats would only alert us or act strangely if a quake would be serious and affect our home or immediate area – which this one did not. Napa on the other hand got hit very hard. But our bunnies were a different story. For the 3 days leading up to this earthquake several of them were fighting. Rabbits being animals that burrow underground might be more sensitive to the earth’s movement than cats or dogs. The Save A Bunny rabbit rescue in Mill Valley (in Marin County and about 20 minutes closer to Napa than we are) reported that night their bunnies were thumping in unison – they knew something was coming and were thumping to alert everyone around them. We’ve been told that African Gray parrots will hang upside down their cages prior to an earthquake. Jim Berkland, a now retired geologist, has been predicting earthquakes for years. He uses lunar phases, and tides, and most interesting, he observes animals. What he has observed is a spike in missing cats and dogs on posters and in newspapers a few weeks before a big quake, for example the horrible Northridge quake of 1994. Cats and dogs will sense something is coming so if they have access to outside, they often run off. We found a really good story about Jim and his predictions written in January of 2014. It’s a great read, we know you’ll enjoy it. Interestingly Jim still lives in Northern California, in Glen Ellen which is the Sonoma side of the wine country. It looks like he isn’t leaving anytime soon! We aren’t either! As soon as you feel an earthquake stand in the frame of the nearest doorway. Door frames are structurally very strong and if something falls it probably won’t hit your head. Don’t stand near a refrigerator or anything else that can topple over. As soon as you can turn off your gas! Don’t know how? Learn this week. Also this week, strap your water heater so that it can’t tip over. Aftershocks can occur minutes, hours, days, or weeks later. Some aftershocks can be as strong as the actual quake, but usually they are less so. It’s not always safe to be outside – chimneys can fall, buildings can collapse, glass windows can pop out of their frames sending dangerous shards flying. If the building you are in seems unstable go outside but stand in the center of the street. Keep your emergency items in plastic garbage cans with the lid on securely. If something falls on it, the contents will probably not get broken. They also won’t get damaged by water. You can buy emergency kits for your car from The American Red Cross. You never know when you might need it for yourself or your passengers, or another injured person you may encounter. Don’t ditch your land line! In the event of an earthquake and so many other disasters where the power can go out that cell phone is not going to work. You want an old school phone that goes into a wall jack. Have a land line for emergencies and you’ll be the first to be able to call out for help, or to let friends and relatives know that you are safe. Here’s a presentation titled “Earthquake Prediction and Animals” that describes the behavior of all sort of animals and even insects before a major earthquake. It’s really fascinating! People love to ask us Californians, “What does it feel like?” The first thing is what you hear, which can sound like a loud crack or like a Mack truck hit your house. A split second later it’s like a giant grabbed your house and is shaking it. It might also feel like a long steady roll. You’ll probably hear the rattle of drinking glasses and plates clanging. Pictures on the wall start to sway or even bounce, a chair might dance across the floor. You might hear or see things fall over. Have any of your cats or other animals warned you of earthquakes or any severe natural disaster, like a life threatening storm? We’d love to know for a follow up to this article.